The new version of Musicnizer is built upon a new internal engine, which is why it works faster than previous releases. This also opens new opportunities for further development. [+] It is now possible to retrieve and edit lyrics saved in audio files. 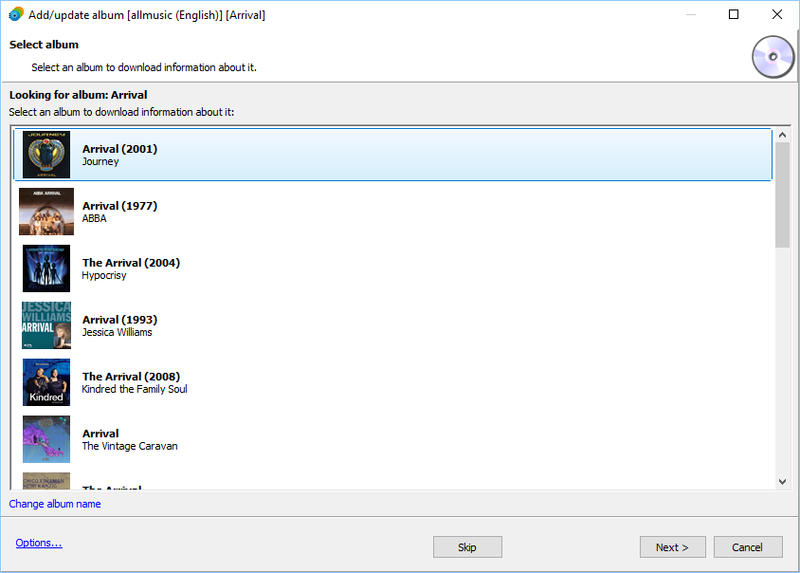 Musicnizer 9.2 can automatically retrieve lyrics saved in audio files (ID3 tags and other) and save it in the database. You can view or hide lyrics associated with certain songs by clicking the "+" / "-" buttons next to the song's title on the album's page. 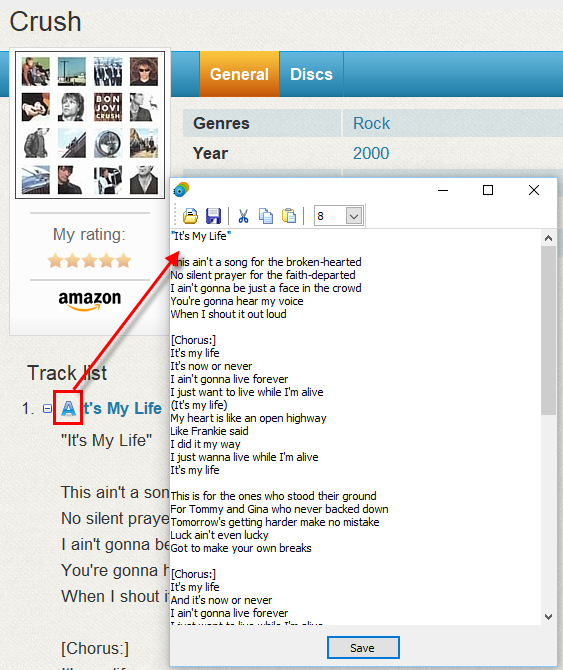 Lyrics can be edited quite easily by clicking the corresponding icon. [+] Pictures can be downloaded via HTTPS. As many modern sites switched to serving all content via the secure HTTP connections (HTTPS), older versions of Musicnizer stopped downloading some content, including certain pictures (for example, in search results). Musicnizer 9.2 includes full support for HTTPS and can download details that were unreachable by previous versions. [+] Automatically suggest the best match when typing into lists. 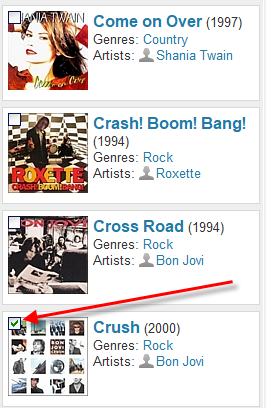 When editing information about albums or artists, you can select various values from lists. For example, artists of the album, locations, etc. However, if a list contains more than a few entries, you may need to scroll up and down to locate the correct entry. Musicnizer 9.2 provide an alternative solution: you can simply type a few letters into the field, and the program will automatically scroll the list to the matching entries. [+] Quick filter for artists. 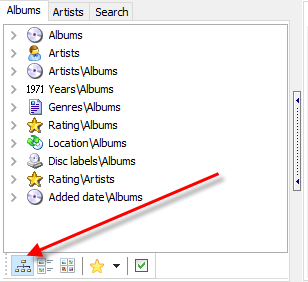 The quick filter feature was initially introduced for albums only. 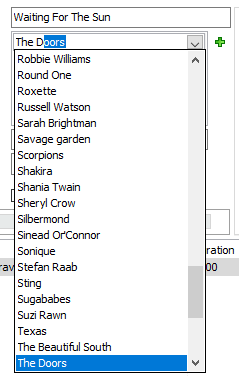 However, at some point Musicnizer got custom fields and lists for artists, too. This made it reasonable for artists to acquire quick filters. 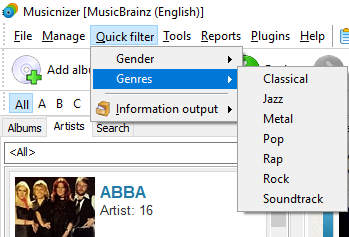 Musicnizer 9.2 introduces this feature. 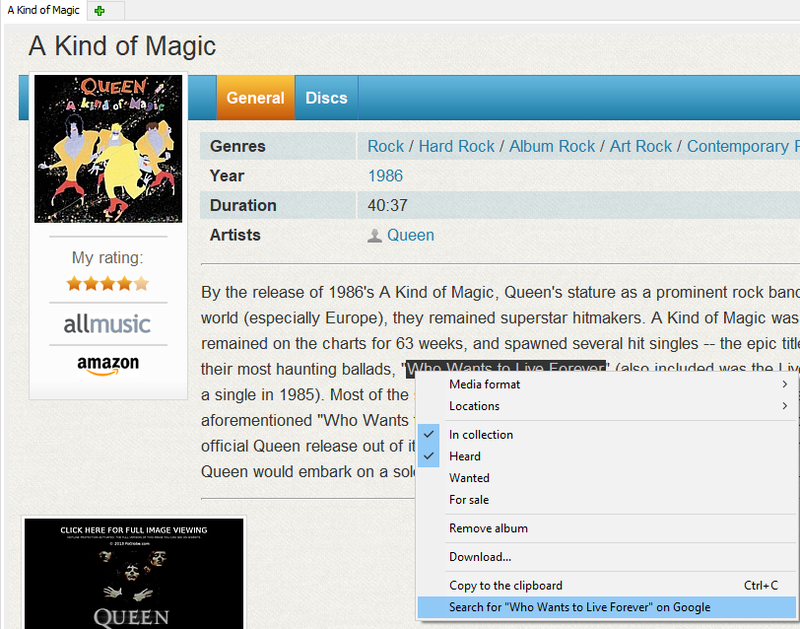 Now, when you switch the main list to the "Artists" tab, the "Quick filter" menu automatically adjusts its entries. [+] Highlight any phrase and search for it on Google. A small convenience feature in Musicnizer 9.2 allows you to learn more about any small detail of a description, biography, etc. by highlighting the phrase in question and choosing to look up it on Google. [+] Selecting printer when printing the current page. 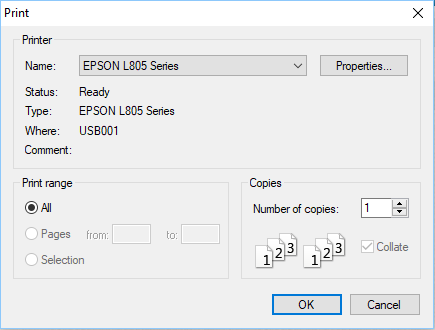 If you have several hardware / software printers installed in your system, you can now easily select the one you want to print with when using the "Print current page" feature. [+] Updated and revised scripts. Musicnizer uses open source scripts to download information from the Internet and to display details from its database (interface themes). Musicnizer 9.2 comes with updated scripts that enable various new features and improvements. Group operations enable selecting multiple entries (albums / artists) for editing, information update, export, and so on. In Musicnizer 9.2, you can enable Group operations easier. Just put the mouse cursor over a cover in the list and click the check box. 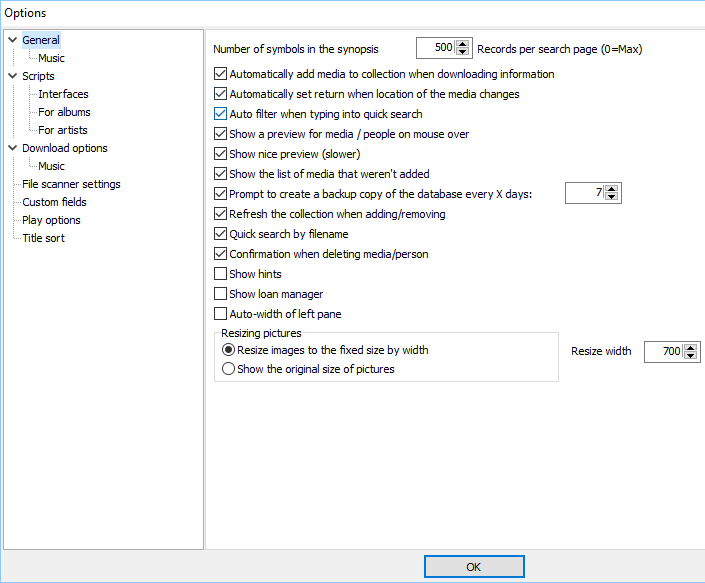 The window with all settings of the program was redesigned to provide a clear hierarchical overview. Now you can select category on the left and see all related settings in the main area on the right. [*] Collection tab is now a view. The Collection view offers a lot of ways to sort and filter your music collection, and you can easily add your own ones. Previous versions of Musicnizer included a special tab that you could switch the main list to. In Musicnizer 9.2, the tab was replaced with a button at the bottom of the list. Now you can choose between the tree view (collection), detailed view (the default one) and cover view. Musicnizer 10 has lots of other small improvements and bug fixes. You can always send us a feature request or report a bug using the support form.